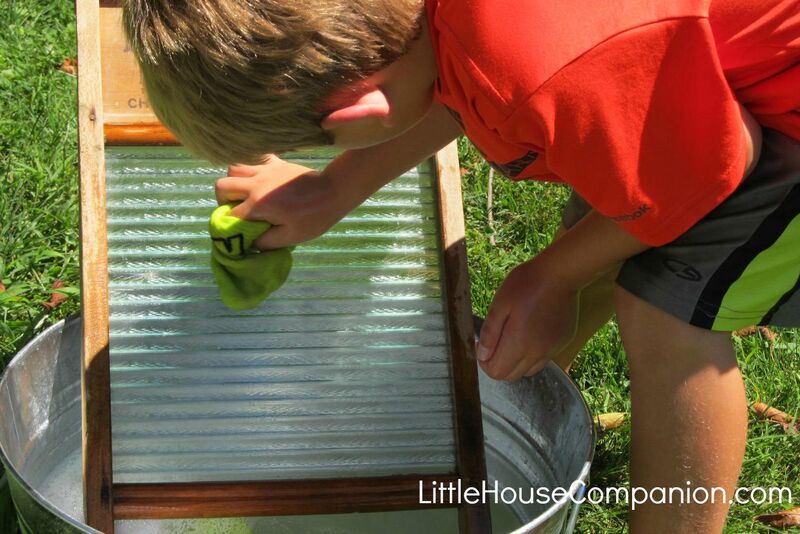 Children as young as three enthusiastically wash laundry using a washboard. During my recent pioneer workshops, a few of the children recognized the washboards. We placed the washboards in the tubs and then the children got to work as part of the pioneer life workshop. The child below is actually washing a sock. When he was making butter some of the cream got onto his sock. He thought this was the perfect opportunity for cleaning it. And yes, even the boys enjoyed washing laundry with a washboard. As fun as using the washboard may be, I'm grateful to have a washing machine! 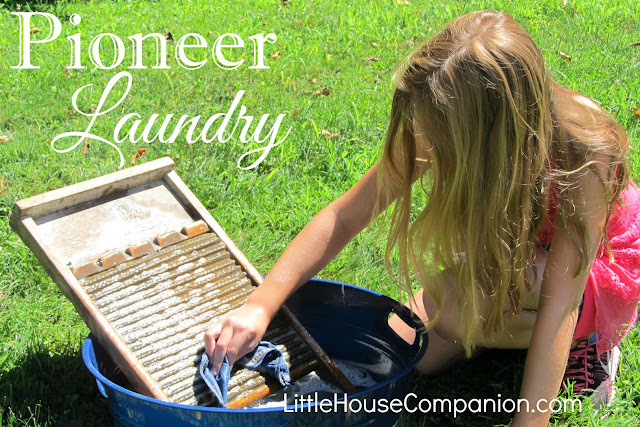 Laundry, pioneer style, was a huge hit at our Little House birthday party. Learn more about my pioneer programs on my website.